Why can't i update my phone? Those brooms on the status bar - are they for CleanMaster? 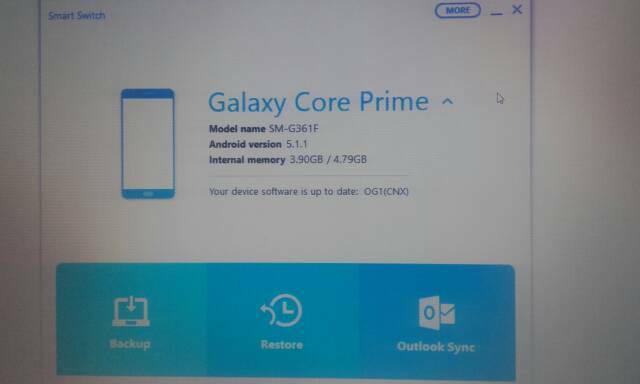 That's a Samsung device, some are actually coming with components from that app built in, I disabled them on my Samsung tablet. 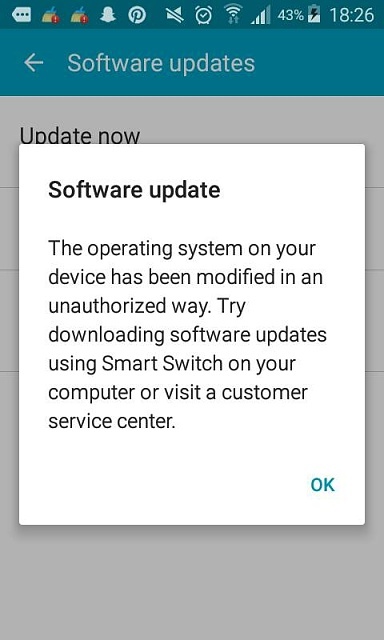 Do you have a PC that you can install the SmartSwitch app on and try the update as suggested in the dialog? Hmm the app says there is no new update. But i saw an option in the app called Emergency Software Recovery. What does that do? 2. Install the stock ROM and, if it's not the latest version, update it. Since this is a Samsung, see [Samsung] How to flash Stock ROM via ODIN. Flashing a Samsung ROM is trivial, it's just boring. And if i do this does my files like Photos , Games etc. get deleted?? When changing the ROM, that is definitely a risk and is most likely to be the case. You will definitely need an off-device backup of anything that is important to you. Heluim is often suggested for backing up and restoring app data. I keep getting the message my storage is near full.